There are many benefits of overcoming procrastination. The deep-seated reason we each procrastinate is emotionally driven, but the solution is simpler than you might think. So, what is procrastination actually? Here’s our definition of procrastination: Pessimistic feelings initiate worry, burden, or fatigue, thus preventing progress. In other words: mind-hell. If you’ve ever spent days or weeks of your life procrastinating on something, you know exactly what we mean. The anticipation that you’ll fail is a root cause of procrastination, but many other procrastination causes exist as well. While failure itself can be seen as ‘eye-opening,’ procrastination doesn't even allow for the benefit of learning from mistakes – because you never make it there – all you do is anticipate that you will fail. It’s a crappy place to be, and definitely not aligned with well-being, or creating time management systems that feels better. 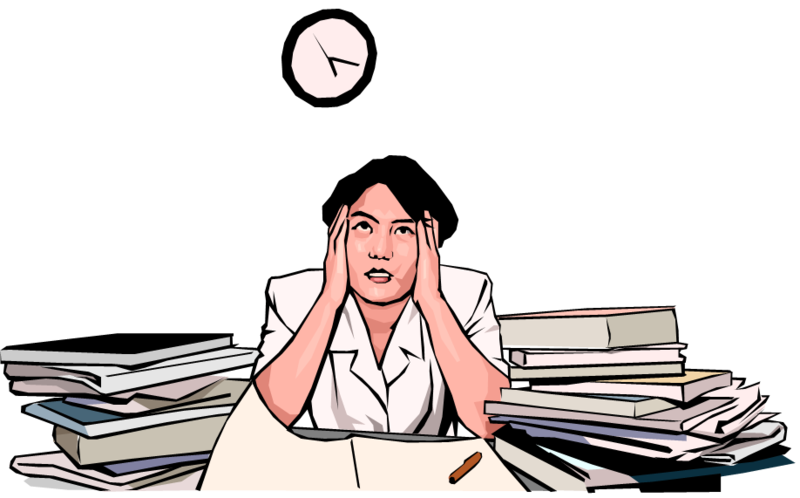 Procrastination is spending time in middle – a gray area of gloomy uncertainty that offers no insight, solution, or progress. The effects of procrastination are bottomless. You always have the right to change your mind, which involves contemplation to make clear-cut decisions to drop a task, defer, refer, and bring closure to the feeling and reality of being responsible for it. To procrastinate, is to let a task go undone, while feelings about it grow into an emotional mess that it never deserved. Think of something you do REALLY well. Something you’re awesome at carrying out. Examples: Are you the fastest track member of your team? Are you an amazing cook? Are you naturally a great listener? Recall a specific moment that you were absolutely brilliant with this skill of yours. Got it in mind? While being so naturally brilliant, try to anticipate failure. Can you do it? Does worrying about failure feel acceptable to you right now? Would it stop you from baking that pie, or racing around that track? No way! In fact, if someone challenges you at your best thing–bring it on! My mother never expects to fail at making her apple pie – never! In short, you and I know we will succeed, because it’s something that we each do well - and we believe it! Yet, if an obligation or challenge arises that you’d rather not experience, pulls on past failures as a student, or with any dreams or goals, then the expectation of failure can de-rail any progress if you let it. Consequently, the ‘option’ we give ourselves is to avoid the task, which feels better in the moment– so procrastination wins. What we really fail to see is beyond the moment, when the immediate relief of procrastinating becomes a bigger monster. Working with procrastination takes time, just like the patience needed with a two-year-old. Notice your procrastination habits. Notice the feelings that come-up when you procrastinate. Consider how you treat yourself and others when you procrastinate. Taking time with yourself can assist with overcoming procrastination the best. You are the only one with the truth and the real answer. I often gain insights from amazing quotes about overcoming procrastination as well. You can benefit from the procrastination articles and contributions on this website that offer insights on how to stop procrastination as well as a great story about overcoming procrastination. It's time to create some good-feeling progress again!